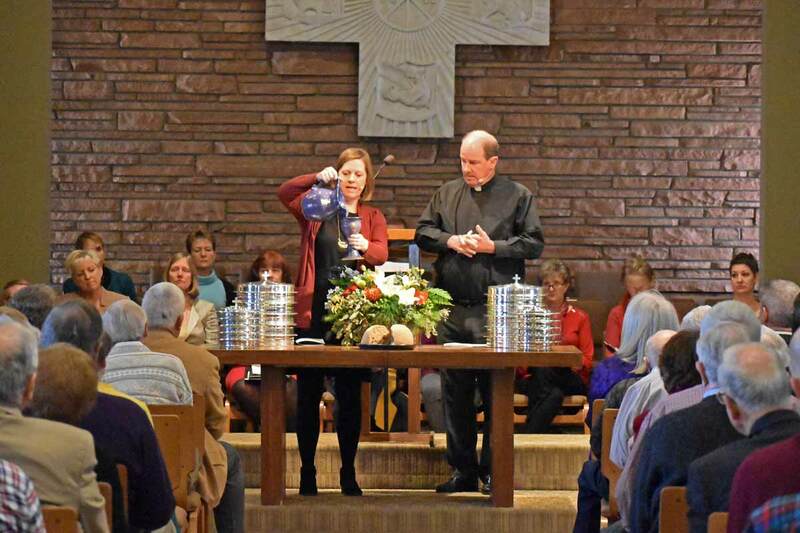 Due to construction and renovations to our Sanctuary and Narthex areas, all of our worship services are temporarily being conducted in the Chapel. For a list of Frequently Asked Questions about the construction and renovation project, click here. To learn more about our worship services, plan a visit. Wellshire strives for musical excellence in all of our services, and we offer vast opportunities to get involved with our music department. 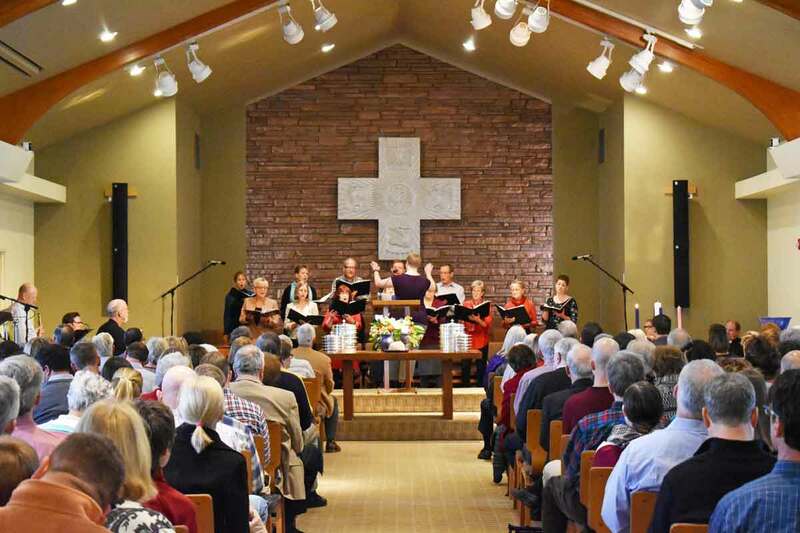 The Sanctuary Choir prepares numerous traditional works throughout the year including: Handel’s Messiah, Rutter’s Magnificat, and Bach’s Cantata 80, Ein feste Burg. Download a full list of works here. 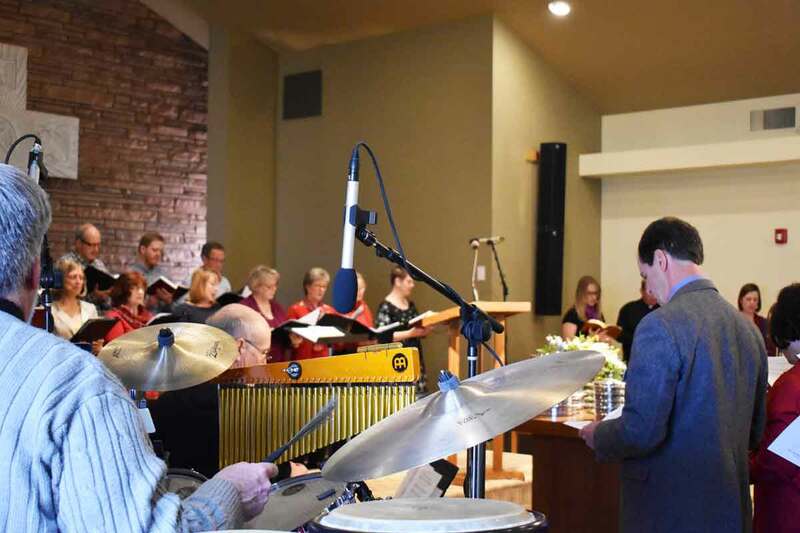 The Confluence Worship Band and the Celebration Singers accompany the congregation through an upbeat and joyful music style. Children have the opportunity to share their musical gifts with the congregation after preparing musical pieces in Children’s Music which meets at 10:45 am on Sunday mornings. Interested in Wellshire’s music programs?